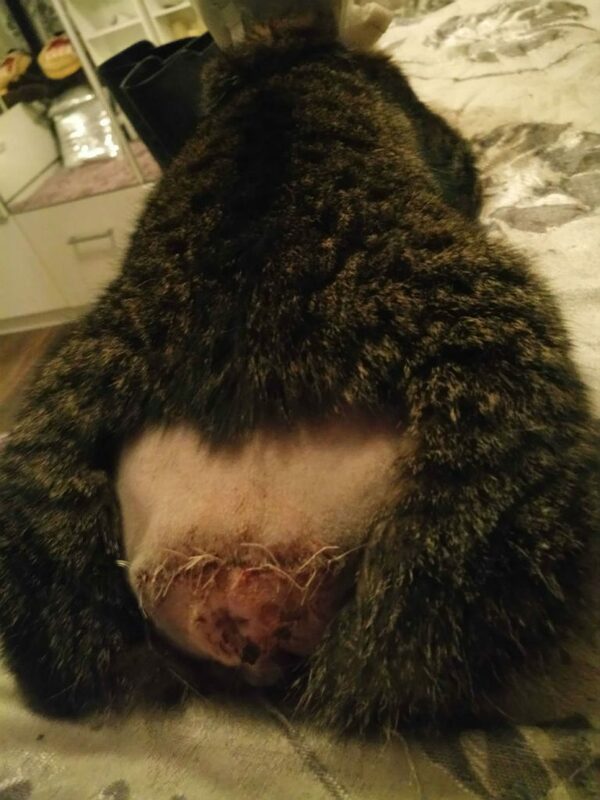 A CAT needed its tail and an ear amputated after it was caught and tortured by thugs using cigarettes. 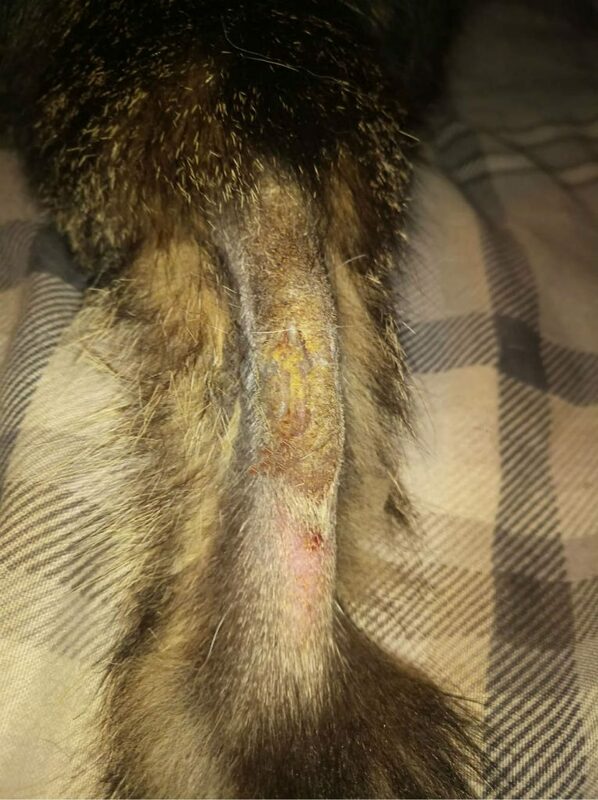 Leo the tabby cat has his tail completely removed after the cigarette burns became infected. 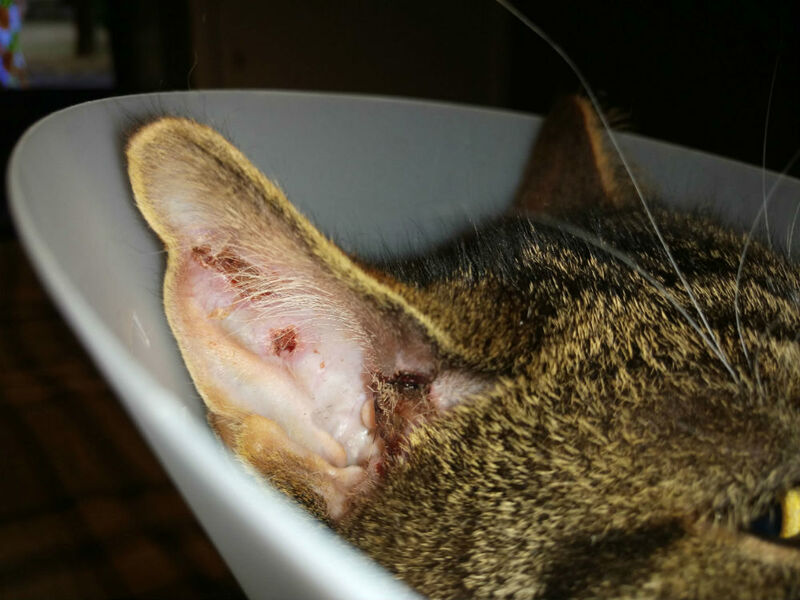 The cat was attacked in Neilston, East Renfrewshire, on January 13th. A fundraising page has been set-up by the local community to pay for Leo’s veterinary bills – £2,000 and rising – after they learned about the disgusting crime. Leo’s owner Pauline Shields is now campaigning to raise awareness of animal cruelty. Photos of Leo show the burns and injuries that were inflicted on him by the thugs. One photo shows Leo’s tail looking infected and shaved, another also shows Leo with a bloody ear where he had been assaulted. Another photo shows Leo post amputation with stitches holding together Leo’s skin where his tail once was. Other photos show Leo after his amputation with a brace around his neck. Pauline has revealed that Leo’s veterinary bills are mounting.